I'm often asked what is the one success I'm most proud of. And well, it's actually the consistency of successes. I'm super proud that all the dogs I ever had in my life qualified for World Championships and were all on National Championships podium. Super proud to win European Open with four different dogs and World Championships with two different dogs - neither was never achieved before. 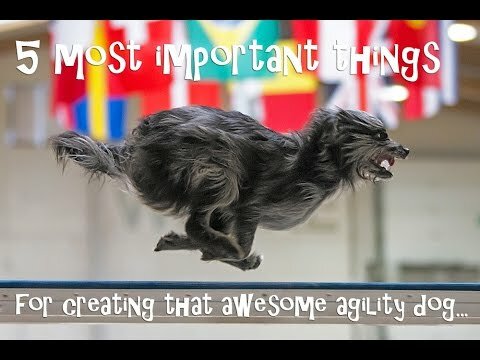 They're all so different to start with... - and yet they all end up being pretty awesome agility dogs. My BC often disobeys me! I say no! He doesn’t care! He does it! When for exemple I say no don’t come in the house: he come in the house! When I train him he prefers play alone! He prefers to say hello to other people and dogs! When we are alone in the forest I want him to come : He doesn’t come ( there are no dogs no people…. ).He can be a really good dog but sometimes he doesn’t look at me. I think I should be more calm and give him a little piece of sausages when he come to me because, now, he run away when I want to punish him. I would run away as well if somebody would want to punish me!!! And I wouldn’t like to play with such a person either and would prefer to look for other people and dogs who are more fun! Makes sense no, wouldn’t you do the same? It certainly sounds like you need to be a bit more fun trainer to your dog. Also, how could he know what no means -- did you train him to understand it? How about training an alternative behavior, asking for that and the rewarding him for things you like rather as trying to punish him for things you don’t like? No I don’t really train him to understand it. I think when I say no and he stops the behavior, I should reward him ?? ?